According to Property Investments UK, changing your landlord carpet in the rental property you own is one of the top ways to add value with least expense. However, choosing a landlord carpet doesn’t require the same course of action as choosing new carpet for your own home. In fact, it’s quite a different kettle of fish altogether. So how do you choose a landlord carpet which will serve your business needs well, but not cost the earth? The first thing you need to do is step out of your homeowner shoes and put on your business owner’s hat. You need to maximise return for minimal outlay. This isn’t about your aesthetics, your colour scheme, or your feet! What would your perfect tenant want? The answer to this question will change according to your property type and location. A small 2-3 bed terraced property will likely need hard-wearing but easy to clean carpets. Here you probably want to choose a bleach-cleanable and lost cost carpet. The Landlords Range Regatta, with a neutral colour, which is bleach cleanable and just £9.95 per square metre makes an ideal choice in this example. Conversely, a large house appealing to business tenants, with 2-3 year leases, will need to appeal to the most luxury tenant, without compromising on a hard-wearing pile. Here, you may opt for something like the Sensation New Feeling which is suited to extra heavy domestic wear, has a luxury feel, but still comes in at just £22.95 per square metre. What adds most value at least expense? We’ve begun to answer this question above. However, this is where you need to consider your landlord lifecycle. How quickly do tenants come and go? For example, if you run a property which predominantly lets to students or young families, you may well find you are looking for new tenants fairly regularly. In these instances, you need carpets which you can easily clean or replace regularly. Specific landlord carpets, such as the Regatta or Mali, are both ideal choices here. Both are bleach cleanable and both are just £9.95 per square metre. If, on the other hand, you tend to have tenants who remain in situ for the medium to long-term, you may do better to invest slightly more in a harder wearing carpet with a view to replacing it less often. 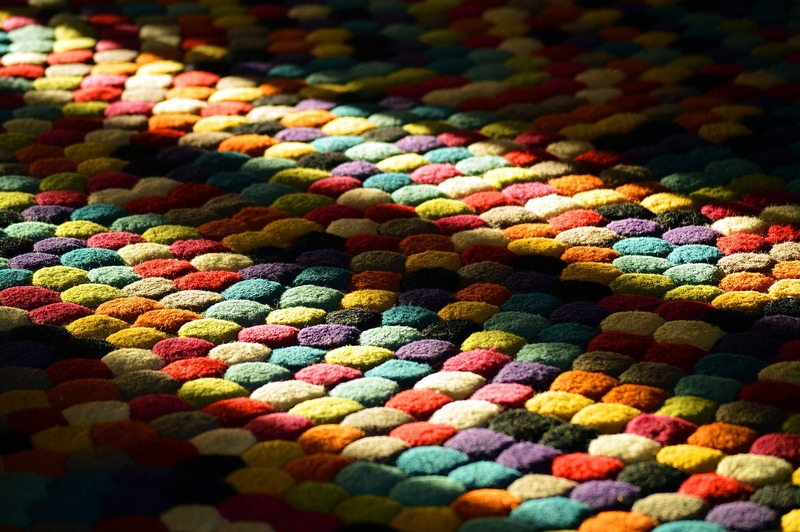 Why should you include new carpets in a rental refurbishment? Along with a lick of paint, they are an easy and large scale way of making the property appear as good as new thus ensuring minimal downtime between tenants. They enable the property to attract a higher rental value and thus ensure a higher rental yield. They potentially boost the capital value of the property if you are looking to remortgage or sell. You shouldn’t necessarily simply replace the carpets because the tenant asks you to. It always makes sense to replace the carpets before new tenants move in, rather than mid-way through a tenancy, whenever possible. When you invest in a new carpet for your own home you will do everything in your power to keep that carpet in good condition. You have a vested interest. You also have the luxury of choosing the colour and style so that you feel it compliments your interior design. Unfortunately, tenants are unlikely to feel the same investment in a new carpet as a homeowner. They also need a neutral or natural carpet in order to suit a wide range of furnishings and décor. Furthermore, the vast majority of rental properties are small to medium in size. As a result many rooms take a real pounding with heavy footfall. For this reason, you’ll want to consider carpets that meet this need but which can also be replaced approximately every 3-5 years. When you choose landlord carpet from World Wide Carpets you can tick off these requirements. You should pay particular attention to your carpets if you are renting to families or allow pets. In these instances you need particularly hardwearing and easy-to-clean options. Assuming you’ve followed the above guidelines and are looking to install new carpet in advance of the next tenant, you need to choose a carpet which is generic. You’ll also find that if you choose a neutral colour, such as those from the Regatta and Mali landlord carpet ranges, and lay this consistently throughout the entire property, you can then replace rooms only as needed. We also recommend carpet where you can, except in kitchens and bathrooms. This is particularly important if you are letting out a flat or apartment. A carpeted floor will ensure fewer noise issues with the property below. Laminate or tiled floor can also pose problems when things are dropped on it. The floor can chip or break, whereas a carpet should be more able to cushion the blow. Carpet is also an excellent insulator. It will help heat retention and tenants may well be looking for carpets for this very reason. If you’re ready to consider installing or replacing the carpets in your rental property we suggest you come along to our Aldershot showroom. Here you can marry together affordable landlord carpet and underlay, choosing the right option for your tenant and property type. We can help you choose the most cost-effective landlord carpet for your landlord cycle.